There will be a trial run on 15KM part of the route this coming Sunday, March 16, 2014. It’s FREE, and is open to any one interested. Details here >>. Also keep posted for our Athletes Talk 3: Trail Running 101 Part 2 this March 21, 2014. Many times I heard about the Sitio Calbasa-an of Minglanilla. Soybitz had done a tree planting project in the said place (read story here >>). 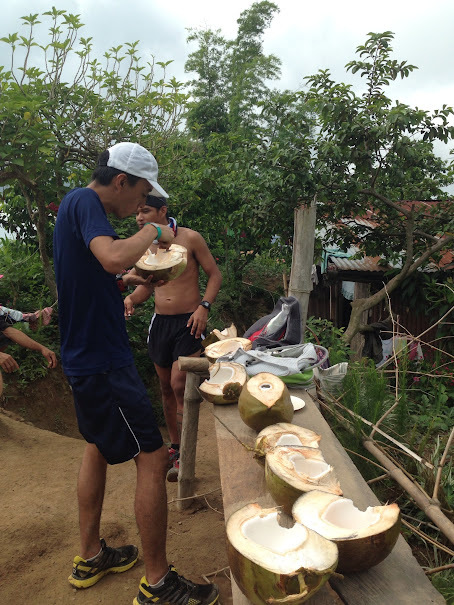 Tony Galon had also been training here, and had done a fundraising run for Boljoon. And, Jake had been inviting many times to visit it. But then when it’s the trail that’s calling, you cannot resist it. And, I’m happy that I did it. So here are a few photos of the trail which was taken last year. 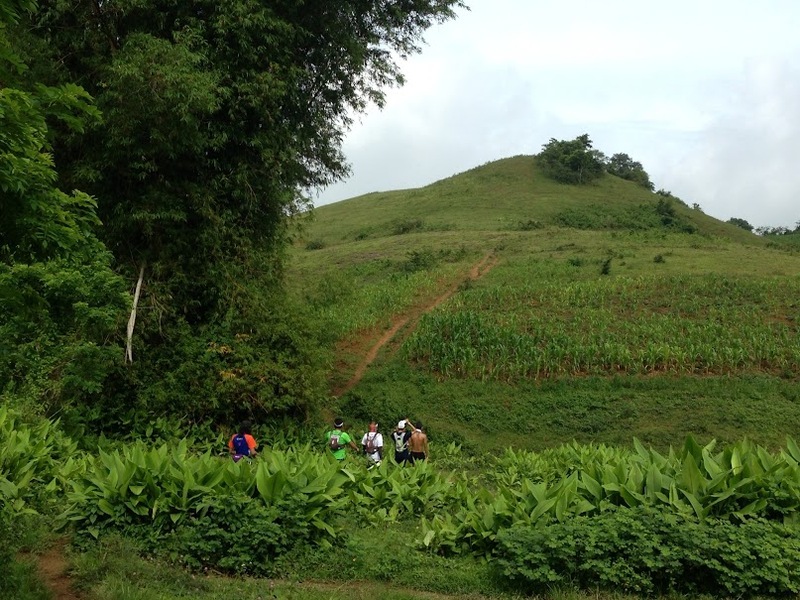 I think most of the route we trekked is part of the Runnilla Eco Challenge. After about 3KM from the entry at the main road, the first that I noticed was that their mountains are bigger than what I had in my backyard. I mean like “duh,” their highest elevation was probably 700M, while back in Lilo-an, it’s something like 400M. There was a good portion of single tracks on the way to Campo Siete. It was not really that technical but I still look awkward. The more “technical” single tracks came after the Peak (Sitio Calbasa-an), but it’s something doable for newbies. If the single tracks made me feel awkward, the “hospitality” of the residents in Sitio Calbasa-an made me feel MORE awkward. Their sincere generosity made the city girl in me felt so poor. They have “rich life.” I could go on and bore you with my thoughts, but I guess it’s best that you experience it. So, guys, come and join the Runnilla Eco Challenge this April 13, 2014. More than helping in raising a fund for a generator of a school in Calbasa-an, let’s discover the beauty of the mountains and learn the richness of our sisters and brothers there. And, above all, it can make your SELFIE worth the while!